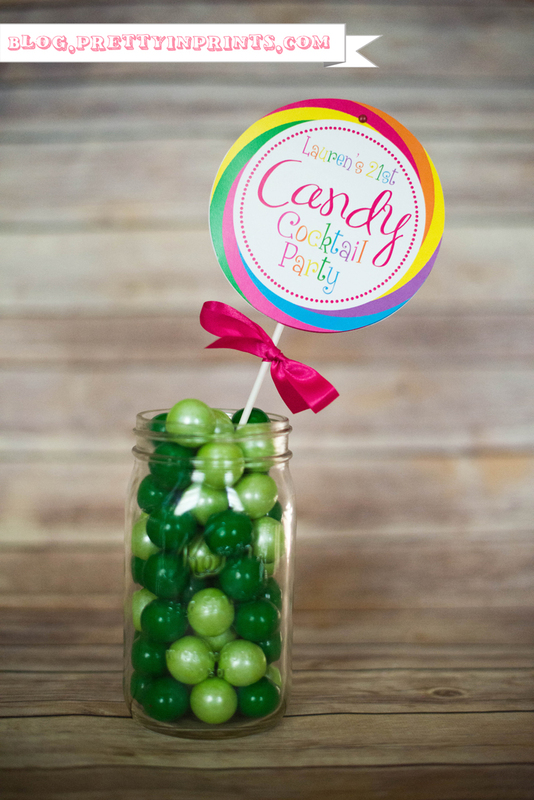 Introducing my most popular item…with a mature twist! With 3 kids (one of them being a newborn) and a booming photography business, I just don’t have the time to make these invitations anymore, so I am now only selling the file. Each one does take a little bit of time to make…but it’s SO worth it! 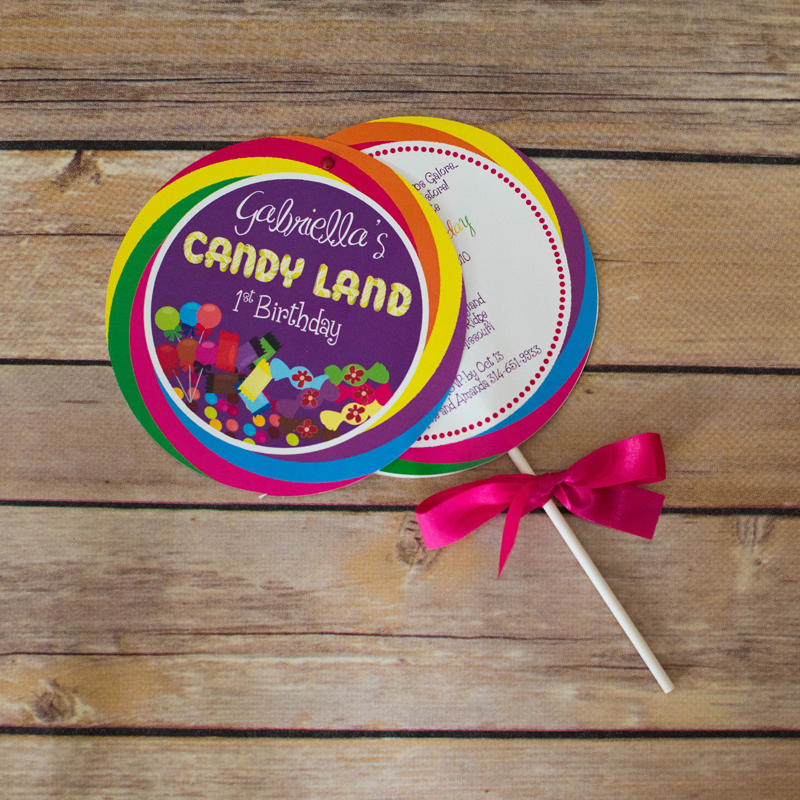 This .psd file includes my most popular version of the lollipop invitation…along with a boy version, a quinceanera version, sweet sixteen version, and a version that can be used with a picture. 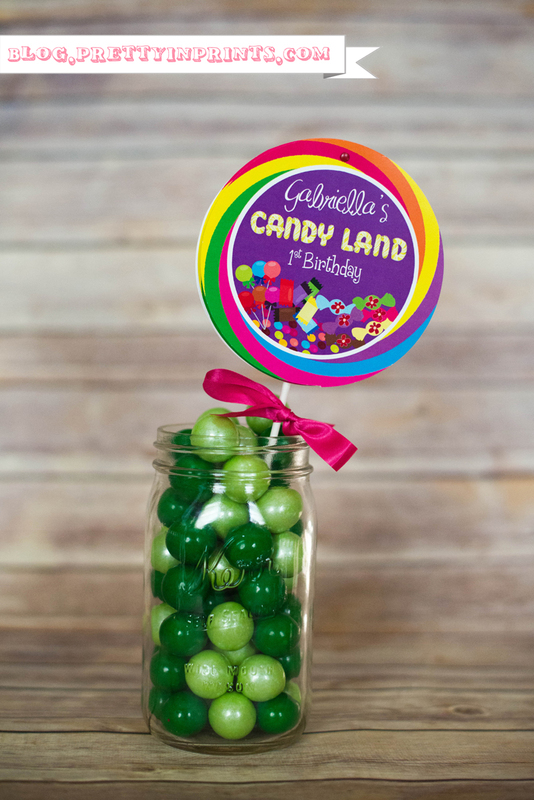 You could use the original girl/boy version for a girl/boy baby shower as well. All versions are included as layers & groups in one, convenient .psd file. You will be receiving a zipped (1) .PSD file (Adobe Photoshop File) with your purchase, which contains the 3 layers of the invitation (the front cover, the circle with the event information, and the back cover). In order to use this file, you MUST: 1) have Adobe Photoshop installed and running on your computer, 2) be familiar with Photoshop and 3) be familiar with Photoshop layers and grouping, 4) have knowledge of how to unpack or unzip a zipped folder. Please make sure you understand the requirements before you purchase the files. This file is for personal use only. You may NOT resell this .psd file. You MAY resell the printable .jpg or .pdf version of this file only if you give credit to Pretty in Prints.